I played some outstanding games this year, and I’d like to call out a few of them. Guild Wars 2 is the eminently worthy successor to the original game, of which I’m a big fan. Set in a fantasy world 250 years after the original game, ancient dragons have awoken and heroes must band together, often forming uneasy alliances, to fight this greater threat. With personal character background story lines that I’ve found engaging and interesting, incredible art direction, and game design that eschews the pain points of traditional massively-multi-player online games, Guild Wars 2 also brings active, tactical game play to the table and delivers a fun, engaging, streamlined play experience. For example, I grew up playing console games, so when I started playing MMO games, MMO game mechanics made me feel arbitrarily stifled. Guild Wars 2 changed that. The ability to move whilst casting or to dodge attacks in Guild Wars 2 is a great freedom that I’ve not found in games of this caliber and in this genre. I have had a lot of fun in recent weeks playing with my guild, running dungeons like Fractals of the Mists or playing through special event and holiday content. They’re a friendly, patient bunch and I’m happy to have found a inclusive, progressive, feminist-leaning, QUILTBAG-friendly guild with whom I can play. Sure, I’m biased, but a lot of other people also think that Guild Wars 2 is pretty great. 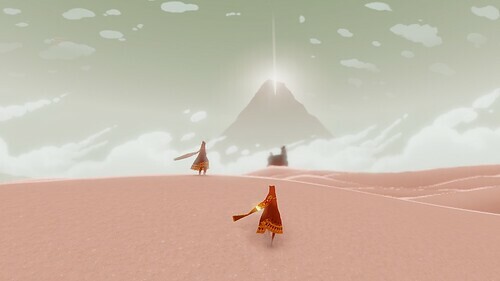 I loved Journey. To me, the game’s art direction and design felt like a nod to what I see as a some of the essential tenets of minimalism—to remove everything until only the most useful, important, and beautiful elements remain. The online component, wherein you could meet another traveler along the way, ensured that no play experience was exactly the same. Journey also impressed players in different ways. Some saw it as boring and pretentious. Others, like me, saw it as full of meaning, imagery, and themes that could be intuited and interpreted. I think this is one of the characteristics of art, that it speaks to different people in different ways. Sleeping Dogs is the opposite of Journey in most ways. It’s violent, gratuitous, gratuitously violent, and in-your-face. Sleeping Dogs is an open-world third-person action crime drama set in modern Hong Kong in the criminal underground of the Triads. You play an undercover police officer, who is trying to bring down one of the Triad groups from the inside. Existing in a genre filled with generic white male leads, Sleeping Dogs is unusual in that it has a Chinese lead character, Wei Shen, and that almost everyone in the cast and in the setting is Chinese. Likewise, the vast majority of the excellent vocal cast (which includes Lucy Liu) are Asian. I can’t comment authoritatively on whether the development team was successful in their reportedly earnest attempts not to exotify the characters and the setting for Sleeping Dogs, but it’s clear that a lot of research and effort went into creating this game. The voice acting is top notch, the story is interesting, and the combat is fun. What draws me to open world games is that I have the relative freedom to do illegal things inside the game (blow up cars, engage in high-speed car chases, etc.) without legal consequences in real life. 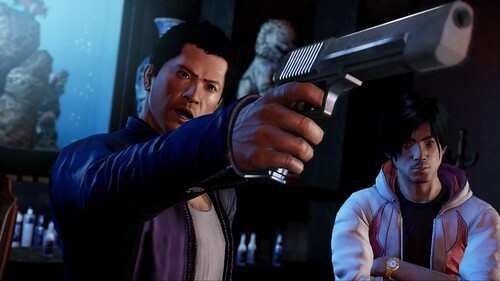 Sleeping Dogs is pure escapism for me and a way to blow off some steam, and I’ve spent countless hours doing just that. Your GW2 guild sounds great, do they have a website or somewhere I can go to learn more? My guild seems to be slowly becoming inactive. 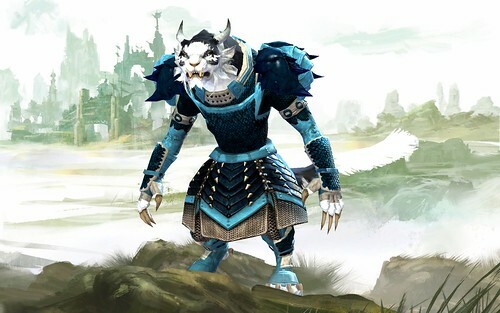 Great looking Charr! For privacy reasons, I’d rather not discuss my guild here, but feel free to contact me.